The adidas ZX 4000 White Sesoye Core Black. 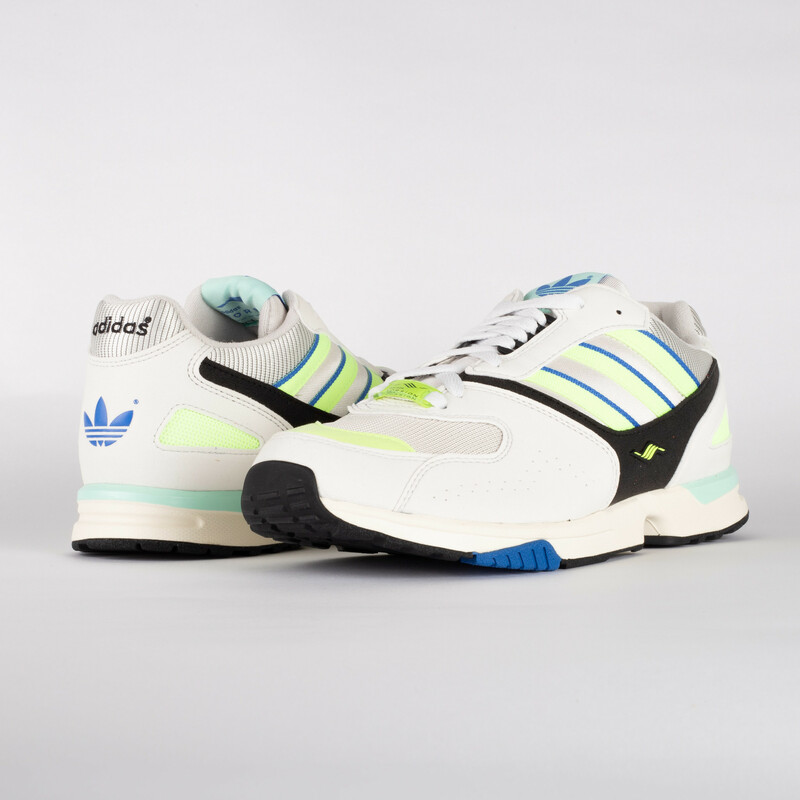 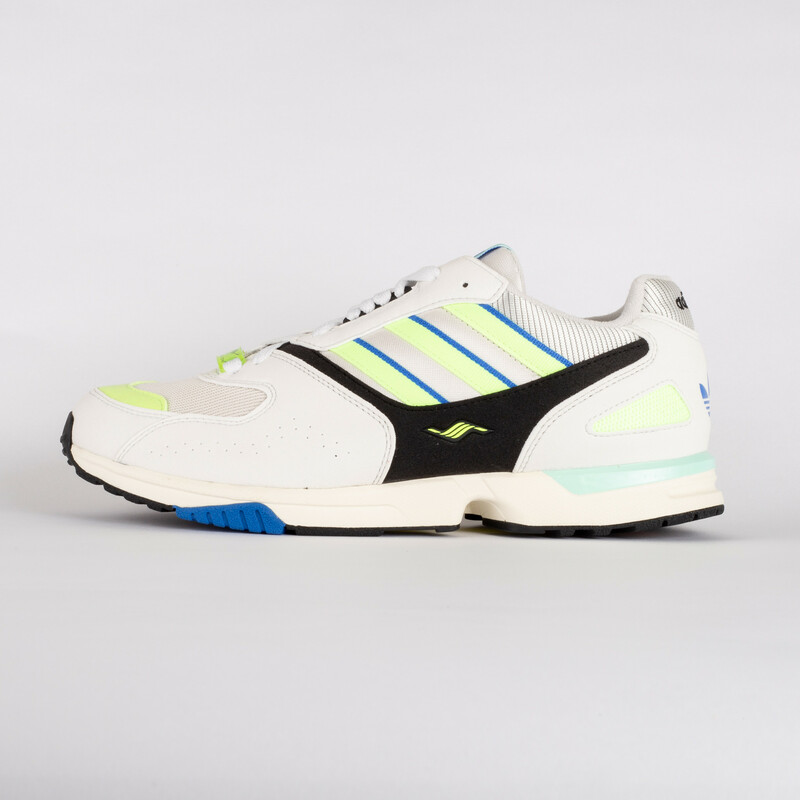 The reinforced ZX 4000 model comes in a white colorway with neon yellow accents. 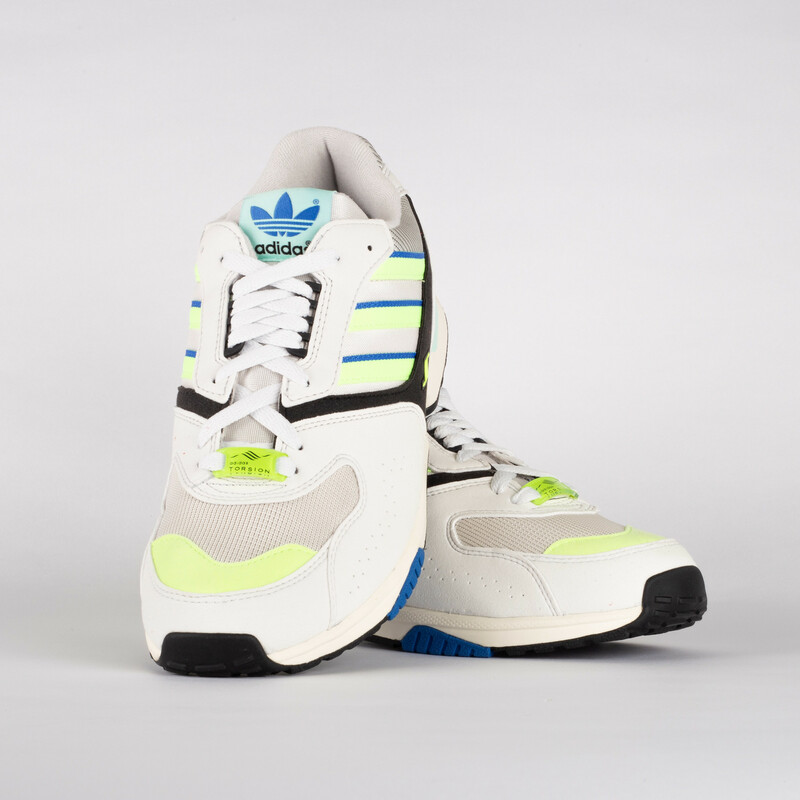 The sneaker features a suede/ mesh upper with a ghilly lacing system on top of a EVA midsole and rubber outsole.